We’ve been speaking with Studio 30 Founder, Antony Scully antonyscully.com for some time, about ways we could collaborate in developing photographers in Trindad and Tobago and the Caribbean. After Mark Lyndersay lyndersaydigital.com delivered such a great talk last year at Studio 30, on how he stayed relevant as a photographer, we knew that giving a talk be a great way to share some of our experiences and contribute to the Photography Education thrust and it lined up perfectly with our Elevate Caribbean Initiative and our BrightPath Foundation partnership. 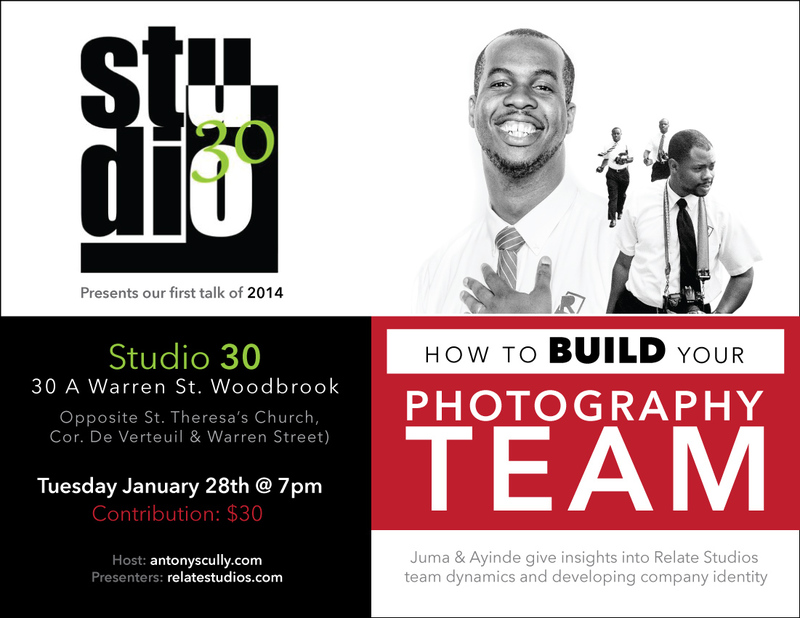 We are happy to be a part of Studio30 talk series and being able to share on How to Build your Photography Team. We invite everyone to be a part of our collective development.